Business - How Much Does It Cost To? Duplicating a key is oftentimes necessary for your convenience and protection. In cases of a lost key, you know you have a spare. Or in case of door keys, getting multiple keys means convenience for the whole family as you don’t have to rely on a key or two for entrance purposes of every member of the family. Copying a key is basically an easy thing. This involves the use of a machine to copy the outline of the original key and cut a pattern onto a key blank. However, some modern keys today are harder to duplicate because an entirely new key must be made based on recorded information. There are even some that requires a special key blank that has an electronic key for safety reasons, especially because theft is very much common these days. However, this modern means of key duplication has made copying a key a lot more expensive. The usual cost of copying a key is $1.25 to $4 per piece. This price includes copying a standard key using a machine through a local hardware store or a local locksmith. The cost involves the labor, the key blank, and the copied key. Key. The type of key to be copied greatly affects costs here. A basic door and car key cost the cheapest to duplicate, with prices ranging from $1.25 to $4. On the other hand, a luggage key costs $5 to $7 to duplicate and a safe or skeleton key costs about the same. 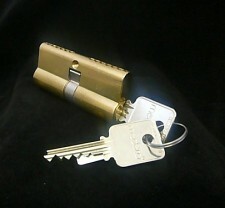 There are, however, high-security locks that cost a lot higher to duplicate. Key duplication costs from $8 to $20 per piece. Lastly, keys of most new cars today are embedded with electronic chips, which means that duplicating them is more expensive. This costs $20 to $100. Number of copies. The more copies of keys you request, the lower the cost of the duplicate is per piece. Store. Where you bring the key for copying can tell prices as well. Local hardware stores that do basic door and car key duplicates usually charge the cheapest. You can get a basic key copied there for around $1.25 to $2 only. Getting the same kind of key to a local locksmith can make the key copy slightly more expensive with prices from $1.50 to $4. One great advantage of choosing a locksmith to do the key duplication for you over a local hardware store is that a locksmith has a larger inventory of key blanks and he usually is well-trained in terms of copying keys. Location. Hardware stores and locksmiths charge differently depending on location. Local competition may have a big impact as well on the cost of their key duplicating services. If you want a standard key copied on a distinctive key blank, expect to spend $3 to $6 for it. You can choose from a variety of prints including cartoon characters, sports logos, flowers, and so much more. Car keys that are embedded with electronic chips require to be activated when copied. Activation is an additional charge of $30 to $75. Always deal with an efficient locksmith to do the key copying for you. Take note that there are some untrained locksmiths out there who cannot even tell a good copy from a bad one. Call a locksmith ahead of time to check if the store can copy your key. Tell the store what kind of key you have and what brand it is. This will save you time from going to a store only to find out that they do not have a key blank compatible with your key or they are not equipped to program a transponder chip key. Once you have the copied key, test it to the lock. Return the key if it does not open the lock easily as it is supposed to be. If you’ve lost your car keys, it is possible to have them duplicated even if you don’t have an original key to be copied. You simply have to locate the Vehicle Identification Number of your car. You can provide this information to an auto dealership or locksmith to get you a duplicate of the key. One of the easiest ways to know whether a key is good or not is through the grooves and shoulders. If it does not line with the grooves and shoulders of your original key, chances are you have a bad copy. Check the front end or shoulder of your key. You’ll see there a number that must be compatible with the key blank being used to copy the key on. There are some keys that cannot be copied by regular locksmiths. If a locksmith try to copy these keys, there is a good chance that they’ll do a bad job out of it since these keys are not meant to be copied normally in the first place. If the locksmith did not ask you for the make and model of your car when duplicating your car keys, it is possible that they have copied the key on a wrong key blank. Hence, the key copy will not work. If the original key is worn from use, there can be slight changes in the original key that will make the copy a failure too. Remember, if the original hardly works, the same will be true for the copy. Also, if the copy is a copy of another copied key, there is a slight chance that the duplicate won’t work as well. Copying a key that takes no time at all or takes a very long time must be doubted for the key copy’s quality. If you want to purchase a home but you can’t pay for it upfront, a mortgage loan can be your best option. However, you will be tied paying for the house to as long as 30 years. Plus, the interest rates can make the total cost of your purchase really big once payment has been completed. And if you cannot afford paying for the house anymore at any given time, the bank can claim the house from you. If you are considering getting a mortgage loan, understand first the costs involved in getting one. Since this is a long term and expensive endeavor, you might want to prepare for the expenses big time. The typical cost of a mortgage is $6.65 monthly per $1,000 borrowed. The price includes the principal as well as interest for borrowing $1,000 from a company in a 30-year term. This means that if you have purchased a home that costs $200,000, your monthly mortgage cost is $1,330. The cost of a mortgage can also be calculated as 28 to 30 percent of your monthly income. So if you have a gross monthly income of $2,000, you will be likely given a mortgage that will cost $560 to $600 a month. Interest rates. Mortgage companies offer different interest rates for mortgage loans. The higher the interest rate is, the higher the cost of the monthly mortgage payment will become. House. How much is the house you are getting? The more expensive the house is, the more you have to pay for the mortgage every month. Term. You can choose a mortgage term of 15 or 30 years usually. A 15-year mortgage will mean higher monthly rates but oftentimes with lower interest rates as compared to a 30-year mortgage term. Type of loan. A mortgage loan can either be a fixed rate or an adjustable rate mortgage. In a fixed rate mortgage, you pay exactly the same amount of principal and interest rate for the whole duration of the loan term. On the other hand, an adjustable rate loan means the principal and interest rate can go higher or lower after three to ten years or so. Income. Your annual income greatly determines mortgage prices. Usually, you will be granted a loan that is 28 to 30 percent of your gross annual income. So the more your income is, the more mortgage loan can be granted to you. Debt. If you have a debt that exceeds 26 percent of your monthly income, it is less likely that you will be granted a mortgage loan. However, the clearer your debt record is, the more mortgage you can actually quality for. Credit score. If you have a perfect credit score, you usually can get lower interest rates for your loan. And if the interest rate is low, your monthly obligations may be lower as well. Down payment. When you get a loan for a home, you will be required to pay a down payment. The monthly mortgage payments will be determined by how much money you have put on the down payment. The more you give as a down payment for the home, the lower the monthly mortgage will be. Down payment. Usually, a good down payment is 20 percent of the total cost of the house purchase. Origination/application fee. This is the fee that the lending officer charges for his services in doing the loan. This is usually one to two percent of the total loan amount. Appraisal fee. Purchasing a home requires an appraisal, which must be done by a licensed appraiser. Expect to pay $300 to $500 extra for this. Processing fee. A broker will collect $400 or less from you as a processing fee most of the time to cover the processing of all tasks such as ordering title, appraisal, and insurance preparing all documents, and the like. Credit report. Expect to pay $12 to $20 extra for getting a credit report. Late fees. If you fail to make the mortgage payments on time or the payment is received 15 days after the due date, you will be subjected to a late fee. Title search and title insurance fees. The lenders will need to examine the public records of the property to ensure there are no discrepancies that will put them at loss. Closing costs. You usually have to pay two to five percent of the total value of the purchase for closing the sale of the house. Evaluate your current financial status and see whether or not you can afford to get a mortgage. Analyze your monthly and annual income, your debts, your job, and a lot of other details in your financial status. You can also analyze your monthly expenses and see how much you can afford to spend on a mortgage every month. Make sure you have a good credit rating. A perfect credit score is crucial towards qualifying for a loan in the first place. Pre-qualify for a loan through mortgage lenders that you know. There are a lot of online mortgage loan calculators that will help you determine how much loan you can afford and how much you can actually qualify for. 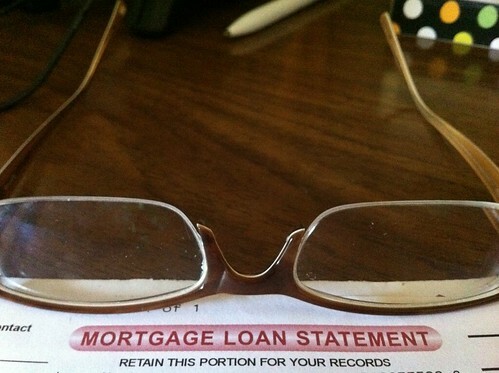 Get quotes from different mortgage companies and choose one with low interest rates. You may also want to check out the mortgage policy as well as associated fees being collected by the company. If you are wary enough, you’ll get good deals from good lenders who will not collect too much money from you when speaking of the fees alone. Understand everything about a mortgage first. You must also know all legal and questionable mortgage fees so you don’t end up paying unnecessary fees in relation to your mortgage. Know whether you will benefit more from a fixed-rate mortgage or an adjustable rate mortgage. The former protects you from sudden increases in the interest rates over the duration of your term. However, if the rates decrease, you are locked into paying the fixed amount you have agreed on at the beginning of the term. A commercial can be a good help to boost your business popularity. However, the cost of making a commercial alone can be very costly. But still, the popularity and sales a commercial can offer you can make every penny you spend for it worth it. This article will discuss the costs involved in making a commercial. The cost of making a commercial can go as low as $750 to as much as $500,000. Simple TV commercials can range from $750 to $5,000 while elaborate national TV commercials have an average rate of $300,000. This includes the cost to produce a 30-second commercial from researching, pre-production, production, and editing. Length. Commercials can be as short as 15 seconds and as long as 60 seconds. The longer the commercial is, the more time and effort is needed to complete it in every aspect of the production. Therefore, the cost to produce a 60-second commercial will be higher as compared to producing a 30-second or 15-second one. Style. Basically, commercials can be categorized into three tiers depending on the level of production. A tier 3 commercial is a simple one that basically uses graphics and requires little editing. Tier 2, on the other hand, is more stylish in terms of camera shots and editing while a tier 1 commercial can go as elaborate as a Hollywood production. The price of tier 1 commercials is obviously the most expensive. People. The people you hire for doing the commercial can affect prices here. A commercial that involves only one person will usually cost lower as compared to commercials that need a lot of people. Plus, hiring a very popular personality to star in your commercial can cost you a lot of money already. Process. How do you make the commercial? Companies doing it themselves instead of hiring a professional agency to do the job for them will spend less on the production process. Basically, they have to rent equipment instead of paying for the labor and professional fees of a specific company. Getting a spot on television for your commercial will definitely cost you extra. TV ad spots can cost as little as $100 to as much as $1M. Decide on what kind of approach you want to use for making your TV commercial. You can start on deciding on the purpose of the TV commercial, how you want to present it to your target viewers, and how you want to produce it. Get a qualified production company to help you with making the commercial. Consider asking for references when picking a production company. Since a commercial may involve a lot of money, you will surely not want to deal with an unreliable and inefficient production company for this project. Ask the production company of your choice for concepts that you can choose from. Getting various options will help you land the best commercial possible for your business. If you need to wire money, understand that you will often be charged for it. Though not much, the cost can definitely go higher the more money you wish to send. Read on and find out how much it will cost you to wire money today. The general cost of wiring money is $8 to $30 for $200. This price includes the cost to send $200 within the United States or internationally through individual bank accounts or online services such as Western Union or MoneyGram. Amount. The amount of money you send will determine how much the wiring cost will be. The more you send, the more you will be charged for wiring it. Usually, the cost of wiring money is calculated at 4 to 15 percent of the total cost of the money being sent. Type of transfer. The way you wire money will affect prices as well. Wiring money through bank accounts is comparatively cheaper than online money transfer services. This is true because it eliminates the need for a third party to transfer money; hence, operating costs are lower. Type of service. A next day service is definitely cheaper as compared to a same day service. The latter means the receiver can get the money within minutes or hours after being sent. In Western Union, for instance, same day service is priced $12 for $200 and $8 for the next day service for the same amount of money. Receiver. The location of the receiver can determine prices as well. If you are wiring money within the United States, the cost is lower as compared to wiring internationally. Depending on the country of destination, the price can differ. Sending $200 has an average cost of $8.24 from the U.S. to Mexico, $19 to China, and $5.25 to India. Processing or service fees may be charged to you depending on the money transfer service you are using. These services are on top of wire transfer fees that are mentioned above. Before wiring money, make sure that you have complete and accurate information of the recipient. This will ensure a successful transaction all the time. If you want to save money, wire money through your bank so you only have to pay a flat fee for domestic and international transfers. Read the fine prints before using a money transfer service. Check out their terms and conditions as well as all related fees involved with a specific transaction. Only use money transfer services that are reputable. You do not want to be scammed when sending money, especially large amounts. Web hosting allows people to access your website in the Internet. So without a web host, your site will be of no use. Today, there are a lot of web hosting companies that you can choose from, each of them offering different prices. Check out this article to find out the general price range of hosting a website today. Web hosting prices vary depending on the kind of hosting you choose. Web hosting is free but every page of the website has a banner ad at the top of every page. Your website address is expected to be a sub-domain of the web hosting company’s address (will not usually let you use your own independent domain name). 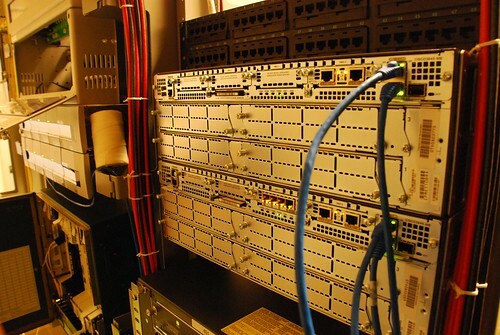 This is a type of web hosting where a lot of websites share a server. This gives you a small amount of disk space and a limited amount of bandwidth. This gives you email addresses, too. You pay for a whole service that is dedicated only to your website. This gives you more freedom and allows you to host a lot of websites of your own as this gives you a lot of disk space and bandwidth. This kind of hosting is best for websites that get a lot of visitors (more than a thousand a day). This gives you email addresses as well. Reliability. For shared hosting, the prices start from $1 to $40. You can expect your web hosting to be on the higher end of the spectrum if you choose more reliable web hosts and packages that guarantee a certain percentage of uptime (e.g. 99.9%). Disk space and bandwidth. The type of package you get also determines prices. The more disk space and bandwidth you get out of a web hosting service, the higher the price usually goes. Normally, you can easily upgrade to a higher package, so it is advised to start out with a smaller package. Features. If you need databases and server side scripting for your website, chances are web hosting fees will be higher for you. Usually, this must not be a worry for you if you have a small website. Some web hosting companies charge you extra if your website receives more traffic than what your monthly bandwidth limit is. Know your needs first in a web hosting service. Analyze your needs including bandwidth, disk space, email accounts, and the like. Knowing your needs will help you find a good web hosting service that will answer all your needs for you. Pick a web hosting company that is reputable and reliable. You can check out reviews in the Internet of various web host companies you can choose from. Pick a web hosting service that will give you easy access to support such as phone or email support (24 hours a day). 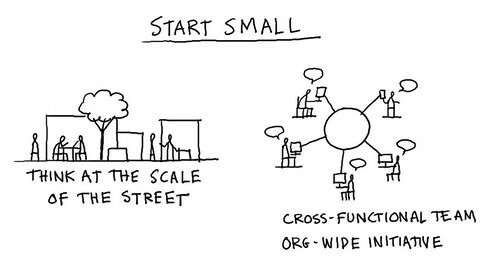 This is especially true if you have a large and very active website. Choose a web hosting plan that will answer all of your needs. You may want to compare various plans from different providers to check out the one that will offer you and your website the best services at a price that is ideal for you. Of course, you will not want to pay for a plan that is way too much than what your actual needs are. 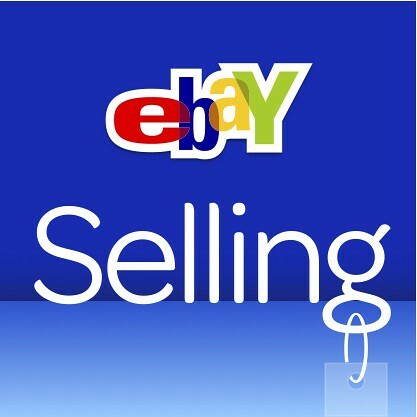 Selling on eBay is one of the most convenient way to sell an item online, whether used pieces or new ones. But before you go through setting up your account and starting listing items, learn how much selling on eBay will really cost you. There are a lot of debates saying that eBay rips off a lot of your money as a seller and hardly gives you a solid profit. Read on and find out prices when you sell on eBay. The general cost range of selling on eBay is $0 to $2. This price is called the insertion fee, which is based on the listing price of the item you are selling. The insertion fee includes a display page for your item and access to eBay services like the Trust & Safety Program. Item category. When selling on eBay, you have two categories to choose from—the auction listing and the fixed price listing. For auction-style listing, you can list an item and be charged $0.10 to $2 as an insertion fee depending on the price of the item. On the other hand, fixed price listing has a $0.50 insertion fee for all listings that are priced $0.99 and up. Number of items. If you list 50 or more items per month in an auction style listing, the insertion fee is waived. Listing upgrades cost extra. Upgrades may include adding subtitles, extra pictures, and the like. The insertion fee is not the only thing you pay when selling on eBay. You will be charged for final value fees once your item is sold. $1,000+ 9% of the item’s total cost to buyer with a maximum charge of $100.00. Establish a good reputation on eBay first before you sell items. Buyers are less likely to buy from you if you do not have good eBay history. You can build up your reputation by purchasing items from other sellers and paying promptly. Know the items that you can and cannot sell on eBay. This will help you save time as well as money in the end. Before listing an item, research the price of the item you are selling. You want your item to be priced appropriately. See if you have time to handle everything when selling on eBay. This is especially true if you are planning to make a business out of selling stuff on the site. Take note that selling on eBay requires a lot of your time for answering questions, taking in orders, shipping items, and so much more. If you need to build a website, understand that this project can cost you zero or hundreds or thousands of dollars. This usually depends on your needs in a website and your purpose of building it in the first place. Read on and find out the cost of building a website today. The cost of building a website varies depending on how you build the website, but it usually goes from $100 to $1,000. Simple websites (5 pages) range from $100 to $300 to build. Average-sized websites (25 pages) cost $500 to $1,000. Flash-based websites runs from $1,500 upwards. Business and professional websites cost $1,000 to $5,000 or even more. This price includes using a template or hiring a web designer/firm that will build and design your website based on your specifications. Type. As you have seen above, the price of building a website depends upon the kind of website you wish to make. In fact, it is possible for you to create a free website, only that you use classic templates and you allow advertisements on your website. However, the main rule of thumb here is that the simpler your website is, the cheaper it usually goes. The more graphics, texts, animations, and pages you want to include in the website, the higher the cost goes. Complexity. The more customized and complex the design of your website is, the more work a designer usually spends on it. Since designers usually price their services depending on how long it took them to finish a website, your website will surely be more expensive if it showcases uniqueness and complexity. Building a website means getting your own domain name. Though this is an extra cost, this isn’t a very expensive additional cost when building a website. Usually, registering a domain name ranges from $10 to $15 per year. A popular registrator is Godaddy.com. You can easily save a few bucks by searching online for a current coupon code. Web hosting is also extra when building a website. A web host will give your newly-constructed website a space in the Internet where viewers can see it. Usual web hosting fees range from $0 to $30 per month but there are some that can go as high as $200 monthly. 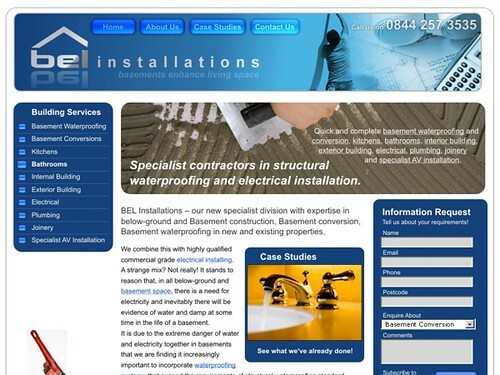 Site content can also be an added expense if you do not have the capability to create a good copy for your website. You can hire article writers to write web copies for you in a per article, per hour, or per project basis. Website maintenance can also cost extra. This is especially true if you require constantly changing elements in the design and content of your website. Know what kind of website you want to create. Take note that different purposes require different kinds of sites. If you want to get a general idea on the kind of website you want to have, you can check out websites that are of the same background as the one you are trying to create. You can get inspiration from there when building your own website. If you are hiring a web designer or a web design company, always ask for their online portfolio. Getting a look at all the work they have done previously can give you a general idea on whether to hire them or not. Get a web designer who has a high level of experience in the kind of website you are envisioning. Also, your choice of web designer must be able to cater to whatever approach you want for your website. A good web designer can work with your ideas in creating a website as well as envision and create a good website by himself just based on a few site descriptions you tell him. If you want to save money, consider designing your own website. Simple websites are easy to create and you may even use free templates along the way. You can also consider learning simple web designing techniques from online guides. Have you written a book for publishing? Congratulations! But before you see your book in print, keep in mind that publishing can mean some expenses on your part. Learn about the cost of publishing a book in this article. The cost of publishing a book starts from $0 to $3,500. Getting a publisher to print out your book will cost you nothing. Self publishing a book can range from $1,000 to $3,500. For self-published books, the price includes printing the pages and covers of the book, registering the book with the library of Congress for the ISBN, registering your book with Books In Print, and creating a Copyright notice. If you are lucky that a publisher shows interest in your book, the price may be zero but everything is included plus book preparation, launching, and marketing the book after its release. Type of publishing. Not every author gets the chance to find a publisher who will be interested in gambling their resources to publish your work. Hence, authors, especially first time ones, have no choice but to self-publish their books. The main difference between the two kinds of publishing is that in self-publishing, you have control over everything including the expenses and marketing but you have full access to the books’ revenue. When a professional publishes your book, expect that they will get around 60 percent of the total revenue of your books but you don’t have to invest money on it in the first place. There are other kinds of publishing you can use for your book besides these two options. Publish-on-demand and print-on-demand publishing can print books depending on the needs of the market. In this type of publishing, a copy may cost $5 each. Another type of publishing is offset printing, the least expensive of all means to publish a book. A total of 500 books must be printed at a time so a book can cost $2 per copy. Number of copies. This usually applies for self-published books only. The more copies you print, the higher the total cost will become. However, usually, the more copies you order, the lower the cost for each copy will be. Kind of book. There are several options when publishing a book. First is the cover. You can choose from hardcover or paperback. The latter is less expensive as publishing hardcover books can be twice as expensive as paperback ones. Also, the size of the book can affect the cost of publishing as well as its total number of pages. Publisher. Different publishers price their services differently. This can usually depend on the geographical location of the publisher as well as other factors such as name, reputation, and materials they use. Self-publishers can face a lot of additional expenses when publishing their books. Book preparation is one thing. This involves editing and designing of the book’s cover. Editing usually costs one to five cents per word while designing can cost around $500 to $1,500. Marketing the book can also be an added expense. This may include book launching and other strategies to sell your copies. This may cost around $500 to $1,000 for the startup promotions alone. Shipping the book for self-published authors adds up to their expenses. This includes shipping the book from the publishing house to your home. This also includes shipping your books to stores you wish your copies to be sold. 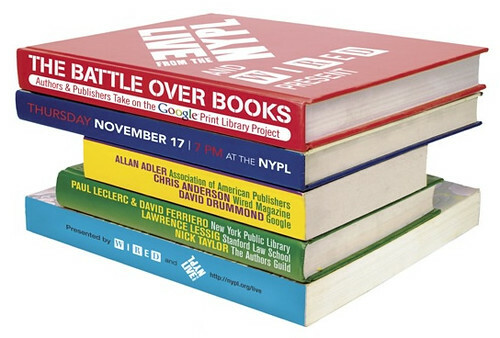 The ISBN or the International Standard Book Number may cost $275 for blocks of 10. Decide whether you want to self-publish a book or find a publisher to help you out. The decision here will not only be based on whether a professional publisher will be putting their trust on your book or not. This can also be based on whether you can afford to self-publish a book and carry on the necessary tasks and expenses to bring it out on stores. Plus, your decision may be affected on whether or not you want control over your book including its revenues. If you want a professional publisher to print your work, hunt for publishers who may be willing to invest on your book. Some publishers require a certain kind of book so make sure to do your homework of finding a publisher who will be interested in the type of book you have written. You can find information like this on the publishers’ websites. You can also visit a bookstore and find books similar to yours and check their publishers to get their numbers and addresses. Then, take your time writing your proposal or query letter. Most publishers read books and book concepts if they are impressed with the query letter. If you go self-publishing, find reputable printers who can offer you good deals on your books. Take time to have someone edit your book as well as get the best cover for your book. Remember, good editing and good cover can sell your book even if you have no huge publishing company behind your back. 0844 numbers have been popular in U.K.’s business world because getting one allows the owner to get a revenue share on all the calls he receives. These numbers are efficient and reliable in managing customer calls while giving extra revenue. For instance, if a customer calls your 0844 number, he usually pays five pence per minute. Four pence goes to the service provider while the rest will automatically be paid to you. The more calls you receive, the more revenue the subscriber can earn. What is even better news about 0844 numbers is that they are very easy and simple to setup. This is without mentioning yet that setting up one is a very cheap venture. Read on and find out the current cost of 0844 numbers in the market. The usual cost of getting a 0844 number starts from zero to £100. This price includes the connection fee, free monthly line rental, and in some service providers, a contract. Quality of 0844 numbers. When you apply for 0844 numbers, you will often hear memorable numbers. This refers to 0844 numbers that can be memorable to consumers. The more memorable the number is, the easier it is in the part of their customers to make business with the company. This is true because customers never have to look somewhere to call you because they can easily recall your number. 0844 numbers that are memorable are priced the highest of all 0844 numbers. On the other hand, some companies will give you random 0844 numbers for free. Mobile or Landline? 0844 numbers can be mapped to either a landline or a mobile phone. Most of the time, routing the number to a landline is cheaper and oftentimes, it is free of charge. On the other hand, mapping the number to a mobile phone is a bit higher. In fact, for other providers, they charge not only setup fees but monthly rental fees when 0844 numbers are routed to a mobile phone. This is true because when a number is mapped to a mobile, the cost incurred by the provider from the mobile network is passed on to the subscriber. Service provider. The cost of setting up 0844 numbers usually varies from one service provider to another. For instance, one service provider may charge higher for setup fees but does not charge monthly rental fees while other may operate to offer low setup charges with rental fees per month. Some providers charge higher for setup fees because they usually have a lot of perks in their packages. Other service providers may also require you to sign up in a contract. A line rental fee is usually an added cost when setting up 0844 numbers and routing them to a mobile phone. The cost of a rental fee usually varies from one provider to another. Additional services in line with your 0844 numbers can cost you extra as well. Additional services may include time of day routing, call announcer, online call stats and management, call queuing, call recording, and auto attendant. The cost of these additional services can vary from one provider to another. Take for example 0844Number.com. They offer these services for a setup fee of £5 each and monthly rental fee of £1.99 each. Prices of the 0844 numbers usually exclude VAT. Currently, VAT is calculated at 20 percent of the selling price. If you are not sure about getting a 0844 number yet, check out how your business will benefit out of setting up a number. CityNumbers.co.uk lists down all the benefits you can get from using 0844 numbers for your business. Analyze prices and terms of 0844 service providers in the UK. Choose a provider not only based on their price but also the terms and conditions included in their packages. One thing you have to check is the revenue you get out of each call from the provider. Some providers will give you 1p per minute while others will give you 1.5p or more. Another thing to look for is the price they charge for a call per minute. Usually, the charge is 5p per minute. Going over this usual price may already be hard enough for the consumer. In the end, go for the provider with the best deals on price, services, and revenue. Choose a 0844 number wisely. If you have a good budget, it is better to go for memorable 0844 numbers. It will benefit your business more if customers can easily recall your business number. In the end, the price you pay for memorable numbers will pay off big time.